24-hour forecast: Cloudy spells with a few showers over the south and coast this morning becoming isolated later today. General Outlook: For Sunday and Sunday night is for only isolated showers to develop. Today E 5-15 kts Light Chop 2-4 ft A FEW SHOWERS, DECREASING. Tonight E 10-20 kts Light Chop-Moderate 2-4 ft ISOLATED SHOWERS. Tomorrow E 10-20 kts Light Chop 2-4 ft ISOLATED SHOWERS. 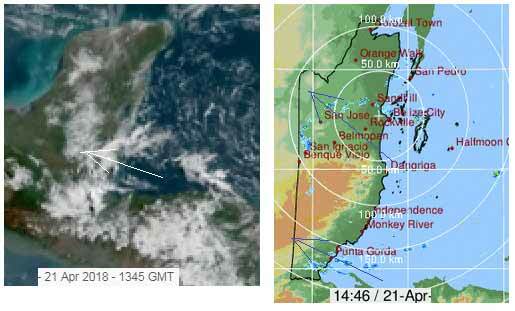 Outlook E 10-20 kts Light Chop 2-4 ft ISOLATED SHOWERS. Upper level cyclonic wind flow, with a trough, spans the entire area. 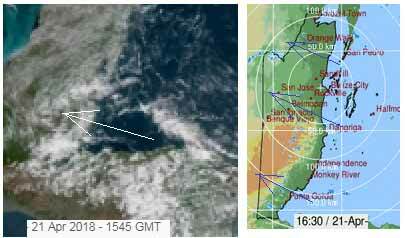 The trough cuts across central Cuba, toward the Gulf of Uraba of Colombia. Lingering rainshowers cover the area that extends from Nicaragua near 13N northward to the Bahamas near 24N between 68W/eastern sections of Hispaniola and 88W in parts of Central America. Surface-to-low level cyclonic wind flow is in the SW corner of the area. rainshowers are possible from 15N southward from 76W westward. Other rainshowers are possible from 77W eastward. 24-hour rainfall totals that are listed for the period that ended at 21/0000 UTC...according to the PAN AMERICAN TEMPERATURE AND PRECIPITATION TABLES...MIATPTPAN/SXCA01 KNHC...are: 0.17 in Guadeloupe. Atlantic high pressure will maintain fresh to locally strong trade winds across the south-central Caribbean Sea through early Sunday. Strong nocturnal trade winds then are expected to resume on Sunday night along the northern coast of the South America. Northeast swell, currently across the tropical waters that are to the east of the Leeward Islands, will subside gradually through Saturday evening. A weakening cold front will pass across the Yucatan Basin on Tuesday night, and wash out across the northwestern Caribbean Sea during the middle of next week. 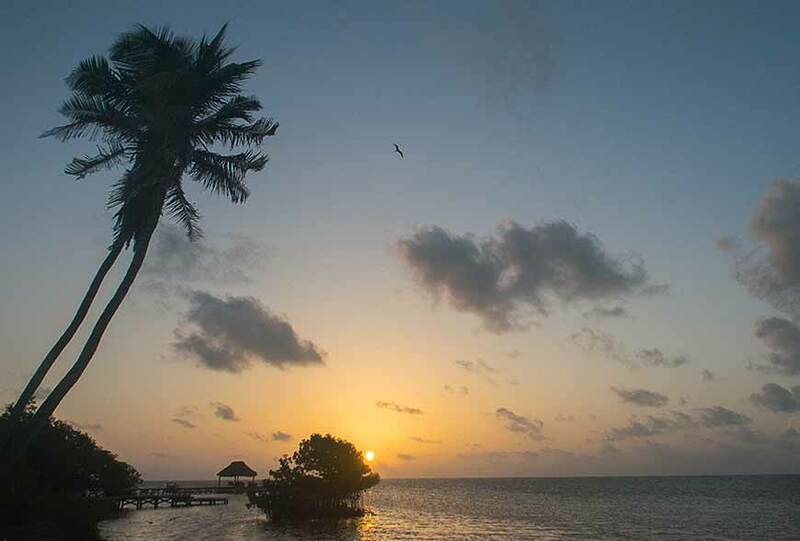 On Ambergris Caye this morning the sea around our barrier reef is flat calm with a slight breeze from the East. The expected high is 87 f.
Looks as if today will be similar to yesterday, a mixture of sunshine, cloud and small patches of rain.